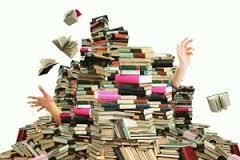 One of those difficult thing to do is to pick a book to read from several great books. So we make do with the voting system of picking. Guess which book won finally? Wow… You may just be right… Let’s see. Okay, Emotional Intelligence By Daniel Goleman. To a large extent, it seems like this book would handle both themes. Here are two reviews by two goodreads.com users. Read to see why we said so. ” This visionary book by Daniel Goleman is one of the most important in my collection. I see it as a seminal contribution to understanding the human condition, and a roadmap of practical steps for living better, both within ourselves and with those around us. I begin by recommending the excellent review by Lars – a clear, well-written summary of the major points in the book. Here I will focus on 3 topics from the book: 1) the evolution of brain mechanisms for emotional and rational behavior; 2) how these mechanisms can be hijacked in modern life, both accidentally and intentionally; and 3) the critical need for properly balancing emotion and rational thought in ourselves and our society. The latter challenge has given rise to extremely important research and training endeavors, and I believe these will become even more important in the foreseeable future. I see these endeavors as promising and significant career paths for those who pursue them. For more information on the brain systems discussed below, McGill University has an excellent web site, with helpful graphics, background and discussion at three levels of complexity, starting with the basics. The links below are to this site. To understand Goleman’s message, it is important to consider the human brain as an evolutionary sequence. We can think of it as a layer cake, assembled one layer at a time. The important point is that each layer in the sequence was originally the ‘executive’ in a functioning brain, with no obvious need for a higher layer. We can think about this sequence by considering a frog, a ‘primitive’ mammal such as a mouse, and a human. The most obvious difference among these three brains is the relative amount of cerebral (neo)cortex. The frog has essentially none – just a small bulge called ‘cerebrum’. The major portion of this ‘reptilian brain’ closely resembles the brainstem in humans, where vital body functions such as heart rate and respiration are controlled, plus a cerebellum for fine motor control. The mouse has a relatively well-developed limbic system (discussed below) and a respectable neocortex. But the human brain is completely dominated by the massively overgrown neocortex, which must be intricately lobed and folded to fit within the skull. So what does all that neocortex do in humans? Put simply, it thinks. It makes associations, provides context, and makes decisions to guide behavior in a complex world. Most other parts of the brain carry out simple sensory processing or stereotyped motor programs, or convey information from periphery to cortex or vice versa. Cortex takes crudely processed inputs (mostly from the thalamus) and identifies salient features (speech, faces, odors). By analyzing these features, it provides a rich context for making informed decisions and choosing appropriate actions. Well, don’t frogs need a lot of cortex to process information and make adaptive decisions? Actually, they don’t. They have gotten along just fine without it for many millions of years. The tradeoff is that they can only perform a limited analysis of sensory inputs, and produce a limited and stereotyped array of behaviors. Mice, with a significant amount of cortex, can perform more sophisticated processing and behaviors, and can show some behavioral adaptation (learning). Now here is the really important part. Humans did not lose or replace the amphibian or ‘primitive’ mammalian brain. Basically, they just added really elaborate processing layers (neocortex) on top of them. All of that cortical hardware has to work through lower centers that are, for the most part, quite similar to those found in other vertebrates. It isn’t quite that simple (of course), but the analogy is a very good one. And this key concept is at the core of Goleman’s magnificent book. With this evolutionary framework in place, we can consider the relative role of the limbic system (‘emotional brain’), which first emerged in early mammals. One of its key components, the amygdala, is a sort of emotional activation zone for the brain. One of its critical functions is to serve as an early-warning system for danger, such as approaching predators, and trigger very rapid fight-or-flight (sympathetic) responses. It gets direct, but crude visual and auditory inputs and processes them more quickly than neocortex. In effect, a portion of the amygdala sits and asks, ‘should I panic? should I panic?’, like an endless loop in software. These responses are, of course, extremely useful when there is real danger. The difficulty is that, in the ‘civilized’ and complex world of humans, the amygdala can generate many false alarms. Even worse, in extreme situations it can take preemptive control of behavior, and trigger blind rage, panic, or other destructive responses. In those cases, the overgrown neocortex that underlies unique human behavior is left out of the loop. And this is where the trouble starts. By analogy, neocortex is the executive who normally runs the company, but the workers can rebel and take over the production line. Examples from everyday life: I blew up; I don’t know what came over me; I just lost my head. Actually, your amygdala came over you and shut down your neocortex. 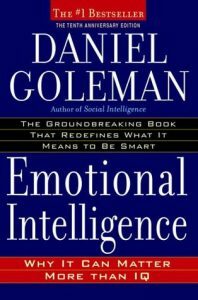 Being emotionally intelligent, in Dan Goleman’s brilliant synthesis, means that you understand the destructive potential of emotions, and actively find ways to minimize or eliminate the destruction. To do this, you must put a neocortical wisdom about emotions at the front end of your own thought process – an executive in the chain of command. The job of this executive is to find constructive ways to channel and control both your emotions and those of others. This idea is consistent with the notions of mindful meditation and the best of religious thought. In other words, it is a prescription for a long-term, sustainable vision of human existence. To me, this is the most profound element of Dan Goleman’s vision. Sounds pretty simple, right? So why is it so difficult for so many people? One big reason is that a great deal of money can be made by encouraging precisely the opposite response. Firing up the limbic system to spew out fear, outrage and hate is good for business. Movie and TV producers (and writers) may not know the difference between the limbic system and limbo, but they are experts at fueling emotional responses for profit. In stark contrast, calm, rational appeals to the better angels of our nature face a steep, uphill climb. Fear and loathing are much easier to induce, and much more marketable. Those with emotional wisdom understand that, except in the most extreme cases, fire cannot be fought with fire. But they must also understand that it is easier to start a fire and fan the flames than to put it out. Now, pick up the book and join in the ride. July is here and Emotional Intelligence it is.